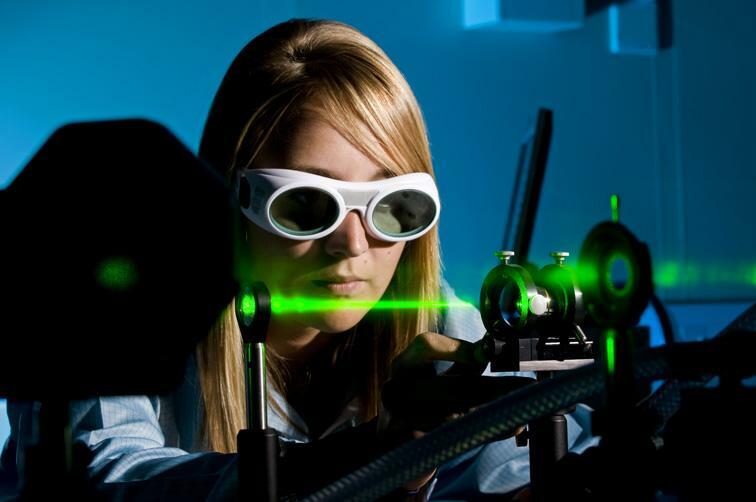 More brilliant X-rays, more cost-effective methods for developing new energy sources and advanced manufacturing processes are just some of the benefits which may come from a novel technology, proven at the theoretical level by a consortium of British and European laser scientists. The research, led by scientists at STFC's Central Laser Facility (CLF), is published in Nature Physics (October 10 2010). A team of scientists from the Instituto Superior Tecnico in Lisbon, Imperial College London, and the Universities of St Andrews, Lancaster and Strathclyde as well as STFC’s Central Laser Facility staff have demonstrated the feasibility of a groundbreaking method called Raman amplification which can take long laser pulses and compress them to 1000 times shorter, but with intensities 300 times greater. This means that current very expensive and complex laser set-ups could eventually be replaced with smaller and more cost-effective systems. This would make many technologies, including methods used to develop x-rays which rely on lasers, far more accessible and easier to mass-produce. This latest development is another step in laser scientists’ quest to develop ever more powerful lasers, increasingly demanded by new technologies since the invention of the laser 50 years ago. The technique has been examined over a two year period, using some of the world’s most powerful supercomputers, to test every possible aspect of the theory. "In the past, studies have been carried out to test the theory, but only using simplified models which do not include all of the relevant phenomena. Our new model has shown that, in most cases, the amplified laser beam breaks up into ‘spikes’, making it difficult to focus the beam to a small spot" said Dr Raoul Trines from STFC’s Central Laser Facility. "But for a few special cases, the amplified laser pulse is of excellent quality, enabling exceptionally tight focusing of the beam". Professor John Collier, Director, STFC’s Central Laser Facility said; "This year’s celebration of 50 years of the laser* is a poignant reminder that we need to start thinking about the next generation of laser technology. We have come to rely on lasers so much in our daily lives, for everything from high speed internet connections to medical techniques, that we can’t afford to pause even for a moment in developing laser techniques further, because these new techniques take years to develop and test".